Click on the link below for the “5-38 Student eTool (Desmos)." 1. 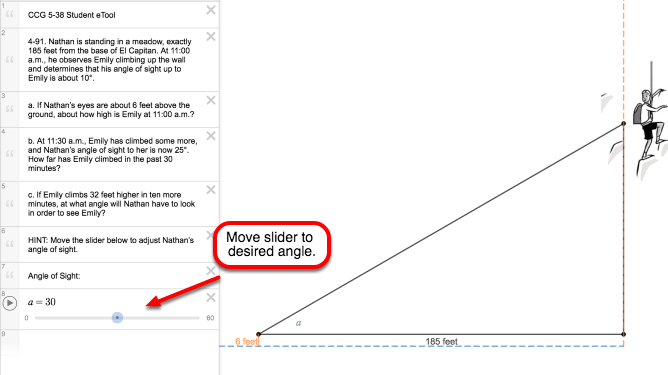 Move the slider to the desired angle. Use the diagram and your knowledge of trigonometry to solve the parts in problem 5-38.